A regional publisher’s daily titles pulled out all the stops in their coverage of GCSE results day and managed to secure tens of thousands of online visitors. The Archant Anglia daily titles produced bumper papers, including the Eastern Daily Press which ran a 16-page supplement with results and pictures and five change editions, with a different GCSE picture story on each front page. Photographer Ian Burt and reporter Rosa McMahon also came up with the story of 72-year-old grandfather Peter Hicks, who gained an E grade in GCSE geography. 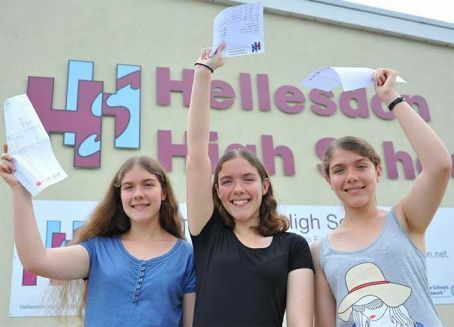 The Norwich Evening News ran its own 12-page supplement with story from reporter Shan Ellis about city triplets Megan, Lizzy and Charlotte Griffiths, pictured below, from Hellesdon High School, who between them gained a 29 A* grades, plus an A grade in their Politics AS Level a year early. The papers also live results feeds running and overall statistics across all the Norfolk sites were up by around 10pc on the previous day, while the EDP and Evening News’ GCSE stories produced 27,500 page views. Assistant editor David Powles said: “It was a brilliant team effort across all departments and platforms in particular by education correspondent Martin George, production and photographic. In Archant Suffolk, the East Anglian Daily Times ran ten pages of coverage including a special eight-page GCSE results supplement, which devoted two pages to each of the paper’s key areas. The Ipswich Star’s coverage focused on Terri Calvesbert, pictured below, a girl who suffered horrific burns as a baby and who achieved the GCSE grades she needed to take up a course at Otley College. Digital publisher Natalie Hoodless said: “Online, parents and students could follow a true live news feed throughout the day in Suffolk and we also plotted the success of schools on our GCSE map showing the differences in pass rate at schools across Suffolk and north Essex. “Our first ever Vine app film came from photographer Sarah Lucy Brown which helped add a new dimension to our coverage. “We had around 17,000 page views on GCSE related stories, which is over 10pc of all traffic for the day. A gallery from Ipswich schools was our highest ranking story, showing that people want to share the students’ jubilation. Hang on, that’s a fail, isn’t it. Surely, the old fella should have got his backside kicked for wasting everyone’s time.